A conversation with Rebecca Skloot, author of The Immortal Life of Henrietta Lacks. Rebecca Skloot, author of the new book, The Immortal Life of Henrietta Lacks loves HeLa cells. The cancerous cells adorn her desktop computer background, the banner image on her cell phone, and the walls of her Memphis home. "I just think they're the most beautiful things in the world," Skloot tells The Scientist. It's no wonder that Skloot has become enamored with the immortal cell line–which has been at the foundation of countless biomedical breakthroughs and discoveries in cell and molecular biology–after spending ten years rooting out the story behind the woman from whom the cells were harvested, Henrietta Lacks. 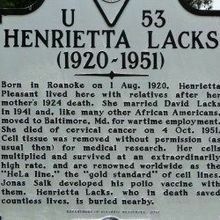 Lacks, daughter of poor Virginia tobacco farmers, died of cervical cancer in the middle of an October night in 1951 at Johns Hopkins Hospital in Baltimore. Only about 30 years old when she died, Lacks left behind five children, a husband, and several extended family members. But unbeknownst to her or her family, Lacks also left behind a sample of the cancerous cervical cells that killed her. Much to the surprise of the doctors who collected the cells from Lacks, they grew and multiplied in culture. They continue growing today, and labs all over the world depend upon them as vital tools in their search for anti-cancer compounds and knowledge about oncology and cell function. 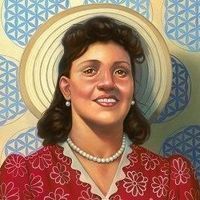 Henrietta Lacks was not informed that her tissues would be used in research, and the scientific community essentially ignored that fact for decades. Meanwhile, the Lacks family struggled for survival in Baltimore unaware of Henrietta's unwitting contribution to science, while her cells sparked a revolution in biomedical research. "Online, you can go and buy HeLa cells or products developed using HeLa cells for anywhere from a hundred something dollars to around $10,000 per vial," Skloot says. 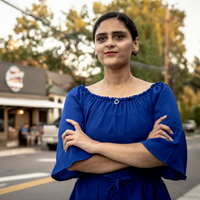 "Her family has a really hard time affording health insurance, and that makes them very angry." Skloot spent years hanging out with the Lacks family, the doctors who treated Henrietta, oncologists, and others connected to the story. She says that her guiding goal in writing the book was to address the ethical missteps taken by the doctors who harvested Henrietta's cells and the researchers who later collected biological samples from her relatives, in both cases without consent, while not vilifying those same scientists. "I really didn't want to portray the story as good guys versus bad guys. 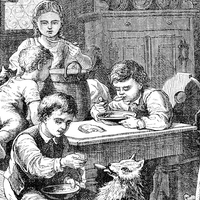 It was much more complicated than that," says Skloot. "There were definitely some pretty serious ethical slips, but I wanted to convey the intentions behind that; that it wasn't that [the researchers] were being malicious, that there was really important and good science happening." Watch the slide show above to hear Skloot, who has established a scholarship fund for the descendants of Henrietta Lacks, reflect on writing the book, her exploration of the complex ethical issues that surround the Lacks family's history, and unearthing the memory of a woman who changed science. The Immortal Life of Henrietta Lacks, by Rebecca Skloot, Crown Publishing, New York, 2010. 368 pp. ISBN: 978-1-4000-5217-2. $26.00.